So a few months ago, the news broke that the quirky Hispanic grocery store in my neighborhood was closing, and a Whole Foods was moving on in. This announcement created quite a stir in the community and in Boston in general. Google “Whole Foods” and “Jamaica Plain,” and check out the maelstrom of articles on the topic. Basically, the announcement and the closing was quick, the history of the Hi-Lo was rich, and everybody’s getting livid. There have been town meetings, protests, interviews, and activism galore. Being that this is all happening literally around the corner from my apartment, my friends and I have been talking about how we feel about the situation, and I don’t even know where to begin. The crux of the debate is this: the area I live in is somewhat low-income friendly and home to a large percentage of Hispanic residents. 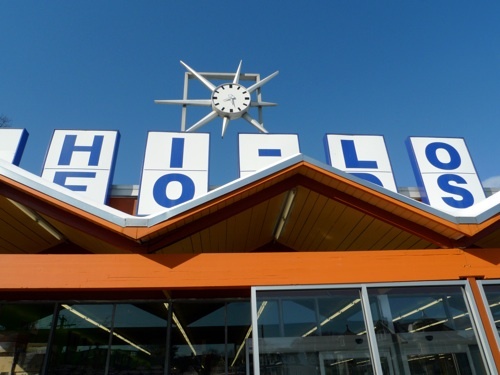 The Hi-Lo was a full-service type grocery store that was well-known for being well-stocked with out-of-country brands and obscure produce, and for being pretty cheap. So not only is the “takeover” offensive to the local-business-friendly JP residents, it’s offensive to those who think that these Hispanic residents are valuable members of the community and should be able to feed themselves and their families in an affordable manner. Jamaica Plain has been “gentrifying” over the years, I suppose, but the people that live here care about maintaining a diverse community, and want to make sure people aren’t booted out of town just because JP is getting too trendy, or whatever. Which is why I feel so conflicted about liking the idea of a Whole Foods moving in next door. I’m wondering about what it means to be a valuable voice in your community. When people ask me how I feel about the whole debate, my first instinct is “I have no idea, I shouldn’t really say anything because my opinion doesn’t matter because I’ve only lived here for a year and a half. I love living in JP, but I’m a grad student. 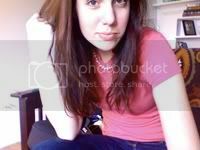 My permanent address is still in Michigan, for crying out loud, and staying here and growing roots isn’t in the plans right now.” Just because I feel transient, does that mean I have to act transient? I have a feeling that it would take me years and years and years to feel at home ANYWHERE…. and it doesn’t seem right to feel like I have to shut up until then if I have something to say, or to wish that my community would advocate for the needs of people like myself as well as the needs of residents who have lived here longer. Not that I do have something to say, it just made me think about what authority I even have in this situation. That being said, I am worried about rents rising. I can barely afford my apartment as it is, and after navigating the Boston realty scene for the last two years, I can totally see a Whole Foods within walking distance leading to 100-200 dollar/month raises in rents. And I guess this is a big part of the opposition to the store – if there was a virtually-identical, Whole-Foods wannabe store that moved into the space, especially one that was independently/locally owned, it wouldn’t show up on the realty radar, and I think the community would have embraced it. Instead, this Big Name store is moving in – rents for apartments and the other businesses around the area will go up and in this economy, maybe people will have to leave. That’s sad and does seem pretty unnecessary. I’m not really convinced, however, that Whole Foods deserves to be villainized here. The owners of the store decided to sell – I doubt Whole Foods came in with guns to their heads and demanded a lease-transfer. They probably had reasons to sell. I’ve read that the store management was past-retirement age and their kids wanted nothing to do with running the store, so maybe they were looking for a way out already. It’s possible that whatever money Whole Foods offered the owners far surpassed any profits the Hi-Lo would ever bring in for the owners and managers, but there was still a choice made, and one that wasn’t malicious, just economic. Do the people who are now getting up in arms about the loss of the Hi-Lo even shop at the Hi-Lo themselves? I ask this question because although I feel affectionate toward my local grocer, I never did any of my major shopping there. To me, the Hi-Lo was always heavy on junk-food type packaged-goods, produce that I don’t know how to cook or eat, and meat (I’m a sort-of vegetarian). The Hi-Lo was reserved for individual items that fell off the grocery list; and for things like sugar, butter, and mozzarella cheese, I was always surprised at how high the prices were. I know that I’m not the only, or the predominant voice here, and that many, many people did rely on the Hi-Lo for their weekly shopping needs. But I also wonder about the other people who live in my neighborhood – should we have all gone to the Hi-Lo even though we would rather shop elsewhere, just for solidarity? Or is this a case of capitalist, supply and demand, where we simply demanded something that we couldn’t find at the Hi-Lo? So I’m conflicted. But at the end of the day, I do truck it out to the Brighton Whole Foods every week to do my grocery shopping. I am a poor graduate student who should probably not be spending so much money at the grocery store, but that’s the choice my boyfriend and I made. We used to shop at Stop & Shop, but I found the prices similar, the selection limited, and the quality of meat/vegetables/baked goods lacking. According to this suggested spending chart written by the USDA that assumes the USDA’s suggested level of nutrition, Lance and I fall between the Low and Moderate Plans, and manage to spend much of that at Whole Foods. It’s possible, though, that I’m selfish enough not to care about all the hubub just because when I forget to buy cat food and it’s after nine p.m. and Lance isn’t around to drive me across town…. Of all the things wrong with the world it seems silly to protest over a grocery store changing hands. Last month, Sy’s, a gorcery store in my neighborhood that had been around for at least half a century because, Bob, the second generation owner did not want to do it anymore. No one protested. He didn’t have the purchasing power to compete on price or volume. The gorcery business is a completely saturated business. When one store closes another one should open. When new stores don’t choose to open in your neighborhood you’ve really got problems. A major chain chose to open in your corner of jamaica plain. That’s just huge. Just huge. But I don’t think its really a matter of big grocery stores eating small ones. Look at who’s sales are up in the food industry. McDonalds is growing and so are other QSR’s. A few years ago 3/4 of all food purchases were at resturants. Most people don’t eat at home any more. Blame the public schools because its a behaviour they taught. When kids grow up getting breakfast, lunch, and dinner at school they don’t have a need for a grocery store too. When little timmy is finally let out of the p-20 school system he won’t need whole foods, because he won’t understand what to do with it. he’ll feel weird buying raw food.